As the company’s first take on the traditional every day watch design, the Fitbit Blaze falls somewhere between a smartwatch and an activity tracker. On paper the wearable matches up with the likes of Samsung’s Gear Fit family and the Withings Activite Pop. Running a proprietary OS, the Blaze technically offers less practicality and flexibility than an Android Wear watch or Apple Watch. The Fitbit Blaze doesn’t blaze any new territory and does pretty much the same stuff you’ll find in various Garmin models. Heck, it’s not unlike a number of other Fitbits when it comes to function. Pricing is listed about $200 but there are other bands and accessories which can be purchased, too. What does all of this mean to the average user? How does the Fitbit Blaze work in the real world? In short, it’s a great little device that does more for wearers than they might expect. But, it comes with a small adjustment and acclimation period. Introduced in early 2016, the Blaze looks like a first-generation approach to smartwatches. It’s angular and the black and silver aesthetics are decidedly masculine. You might be forgiven for thinking it’s more of an enhanced techie watch than a fitness tracker. Should you want something a little less serious there’s also a plum/silver and blue/silver option. On the other end of the spectrum is an all-black unit. The watch is considerably lighter than it looks and doesn’t feel as if it constricts movement in any way. The default band is a tad wider than we might have liked but it is generally comfortable to wear. The Fitbit Blaze tracks just about any fitness-related activity you might think of, including steps, flights of stairs climbed, heart rate, and sleep. It’s very similar to its sibling, the Fitbit Surge, but this one adds in the touch-friendly color display and side buttons while swapping out the standalone GPS. Should you want to track a bike ride or run you will need to have your phone nearby; the GPS comes from the handset and talks to the app/watch combination. Out of the box, the watch gives users quick access to nearly all functions. Additionally, the watch can double as a timer or stopwatch. Wearers can go into the app on the smartphone to toggle other details and customize a few settings such as watch face and notifications. It’s also in the app where you can track how many glasses of water you’ve had or set up a meal plan to help lose weight. Wearers will notice the watch can show incoming phone calls, calendar reminders, and message notifications from a variety of apps. Moreover, there’s also a music player with basic controls that handles songs from your phone. The Blaze will detect and record “active exercises” when it notices you’re doing something more intense for a period of ten minutes or longer. Along those lines, the software makes it so that you’re just a few taps away from manually tracking a number of physical activities, too. Touted at one week, we found the battery life on the Fitbit Blaze to be excellent. This was good, because the method of charging was wonky to say the least. To charge the battery you are required to remove the main square component from the watch and place it inside of a cradle. Moreover, the cradle locks down similar to a roller coaster harness. Yeah, it’s weird and somewhat awkward, but thankfully you’re only doing this once every six to seven days. We charged in a Monday night and went into Saturday before throwing it back on a charge at bedtime. As someone who normally has an Android Wear-powered watch on, it took a day or so to get acclimated to a less “smart” unit. Conversely, it was great to have all of these health and fitness options so readily accessible. It’s nice to not have to go digging for an app or launching something if I want to track water intake or a particular exercise. The display automatically turns itself off, which is a great way to preserve battery. A quick flick of the wrist or tap of the screen pulls up a watch face that shows time and usually some aspect of tracking. We wished there were more than four faces to choose from or some elements of customization. But, given this is a fitness and activity tracker, we understand it’s not all about the watch aspect. While we do understand that the watch is designed to help track sleep, it’s somewhat odd to wear the Fitbit Blaze to bed. After a long day of doing whatever it is we do, sometimes the last thing we want is to have something wrapped on our wrist. For us, sleep monitoring isn’t the key reason to own this, so we’d recommend a different wearable for that use case. But, if you don’t mind the “confinement”, the Blaze is great at detecting heart rate and sleep. There’s plenty of discussion about how accurate of a pedometer you’ll get in a watch, regardless of band. Wear any two products in a day and you’re bound to find different figures in the end. Along those lines, we’re not sure how accurate the Fitbit Blaze is as compared to other models; we didn’t wear it in conjunction with any other brand. Staying with accuracy, we liked that the watch would help us with tracking different activities. But, let’s be honest here, there’s no way the Fitbit Blaze knows how good your form is when lifting weights or doing jumping jacks. The silent buzz prompts are a nice touch, but it’s mostly like having a coach blow a whistle for you. A coach who has his face in his phone and not paying attention to whether you’re doing things properly. We really appreciate the way in which Fitbit held our hands in designing a meal plan or goal for losing weight. It’s a simple process of putting in a starting weight, desired goal, and determining how aggressive you want to be. The app can be used to forecast the date you should reach your goal, help track foods (barcode scanner for the win), and let you know whether you are on pace for the day. Our advice is to stick with it once you start. Doing it sporadically won’t help you in the end and you’ll not be able to mine your data very effectively. Fitbit offers a number of accessories to choose from for its Blaze, including other elastomer bands, leather straps, and steel-link straps. Pricing ranges from $30 to $100, to $130, respectively with color options along the way. It’s easy to find a fitness tracker in 2016. There are plenty of models to choose from, each with a variable reason to consider. Heck, Fitbit alone has more than a couple devices to choose from. You’re not going to go wrong if you pick something from Fitbit. You’ll just want to figure out which model speaks to your needs. If you’re mostly interested in tracking basic stuff like steps taken or heart rate, there’s plenty of other, cheaper options. But, should you wish to step things up include distance, water intake, weight tracking, and meal plans, the Blaze is a terrific option. The Fitbit Blaze occupies a space somewhere between a generic fitness tracker and a smart watch. It’s not going to have the overall flexibility and intelligence of an Android Wear or Apple Watch, but it’s excellent at what it does. We would have liked for a waterproof design, but understand that lines have to be drawn somewhere. The same goes for not having an internal GPS. Going this route might nickle and dime us into a price point that turns people away. With a recommended $200 price tag for the Fitbit Blaze, it’s definitely attractive enough to justify its cost. 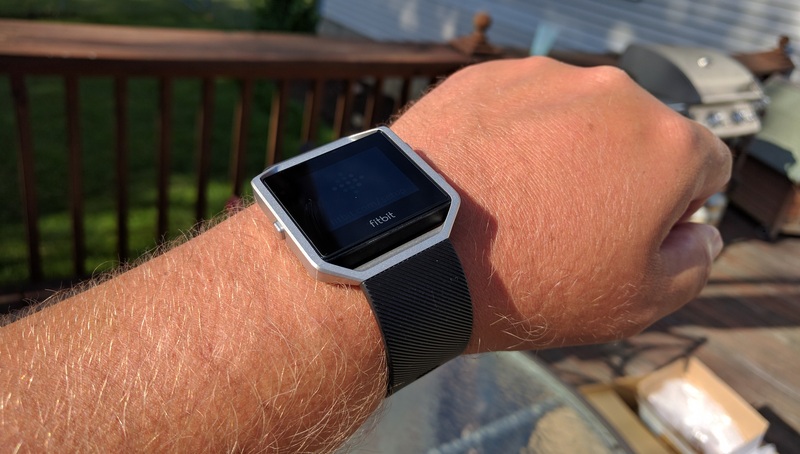 The post Fitbit Blaze review appeared first on SmarterWatching. Falling somewhere between standard activity and fitness trackers and an Android Wear watch, the Fitbit Blaze is a wonderful option. 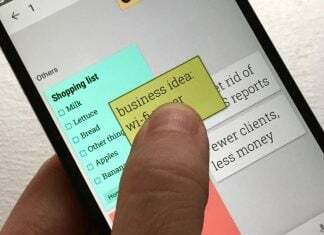 Plenty of functions and features for the everyday user, but peel the app back a layer and you've got an excellent coach and accountability partner. As the companion site to AndroidGuys, SmarterWatching provides news from the Android Wear and smart watch space. Be sure to visit smarterwatching.com for more news, reviews, and roundups!